On 4 July 2017, the SUN Business Network (SBN) in Nigeria celebrated their one year anniversary with a grand event in Lagos where they presented their 3-5 year Strategic Business Plan in partnership with Accenture Development. 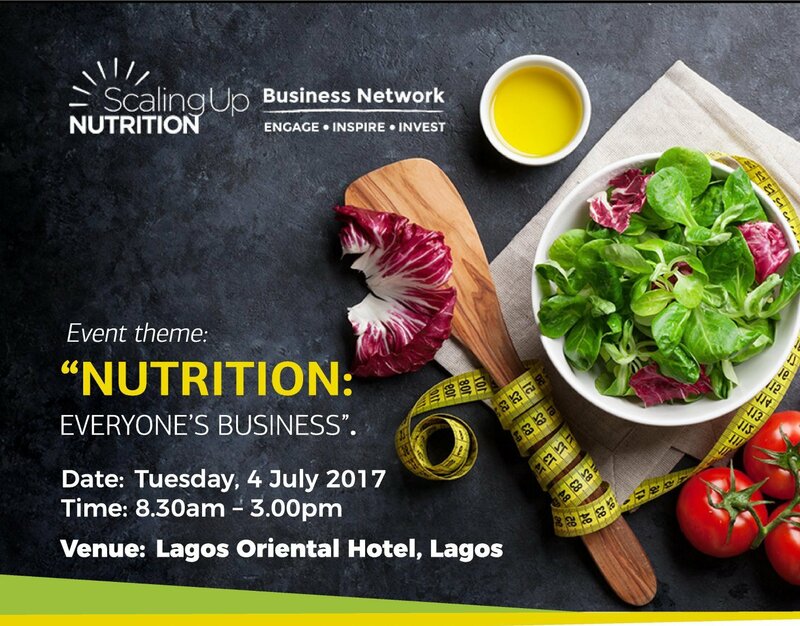 The one-year anniversary titled, “Nutrition: Everyone’s Business“, brought together people from their 61 member companies, in addition to supporters from the United Nations and Civil Society Networks, six government ministries and leaders from industry bodies including the Dean of Lagos Business School. Uduak Igbeka, Senior Associate and Team Lead, SUN Business Network in Nigera in speaking to AgroNigeria. The first panel session, “Access to Finance for Business in Nutrition”, was led by professionals who identified the lack of adequate study and research by agropreneurs. They advised businesses to show commitment to development in their business models and in their various communities. The second panel, “Supporting the Private Sector to Contribute to Nutrition in Nigeria”, featured government representatives in the Federal Ministry of Budget and Planning, Federal Institute of Industrial Research, Federal Ministry of Agriculture and Rural Development, Federal Ministry of Health, National Agency for Food and Drug Administration and Control, and the Consumer Protection Council. The SBN in Nigeria was commended for their efforts at improving nutrition and will continue to encourage transparent dialogue and action in partnership with the government and other actors to scale up nutrition in Nigeria. It's a wrap! SBN Ng says a big thank you to everyone that attended & supported the Anniversary event.